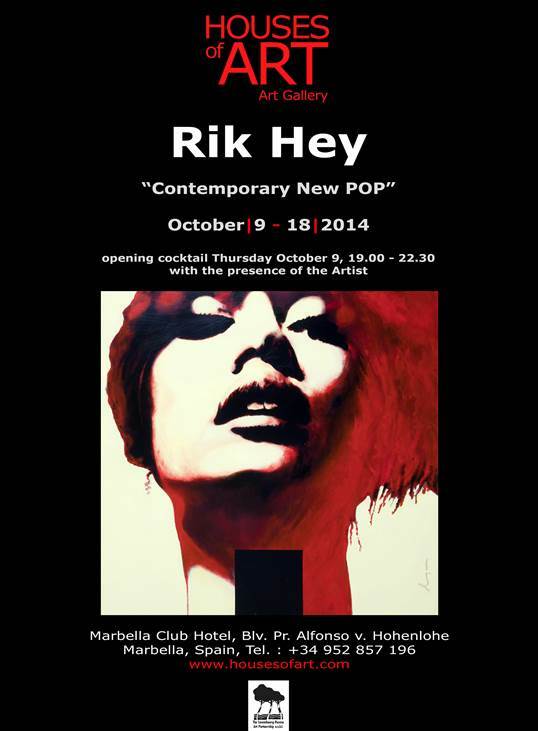 Houses of Art Gallery, Marbella Club Hotel, to show “Contemporary New POP”, the personal Exhibition of Rik Hey | Marbella Marbella – Adelante! From Thursday, 9th until the 18th of October, 2014. The artist will be present at the reception cocktail on Thursday, 9th of October, from 19.00 until 22.30.
desde el Jueves, 9 hasta el 18 de Octubre, 2014. El artista estará presente en el cóctel de recepción el Jueves, 9 de Octubre, desde las 19 hasta las 22.30 horas.